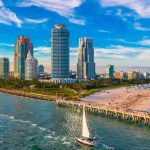 $ 74.74 million paid the buyer, who is CCC International USA LLC, a subsidiary of multinational China City Construction of Beijing and American Da Tang Group in New York. The plot of 2.78 acres had been approved for a special use permit to allow the construction of twin towers in 1.3 million square feet, however those plans will be discarded and replaced, according to an interview with the CEO of America Da Tang for Daily Business Review. The earthworks were started but recently stopped due to current market conditions. 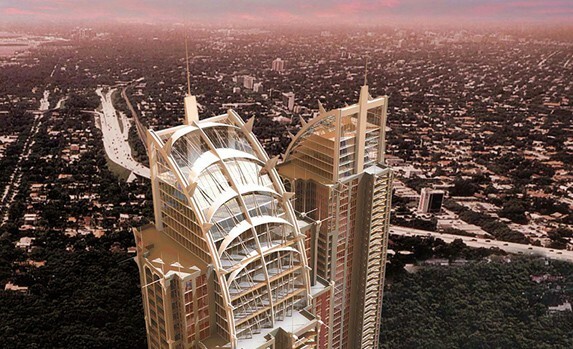 The seller of the property is a subsidiary company of Mexican conglomerate GICSA, Cababie controlled by the family, who are responsible for the residential tower Vizcayne. 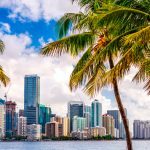 The new owner will be allowed to redesign the project under the Miami 21 zoning code with a maximum of 3.2 million square feet to explode. Taken from: Staff, TNM. 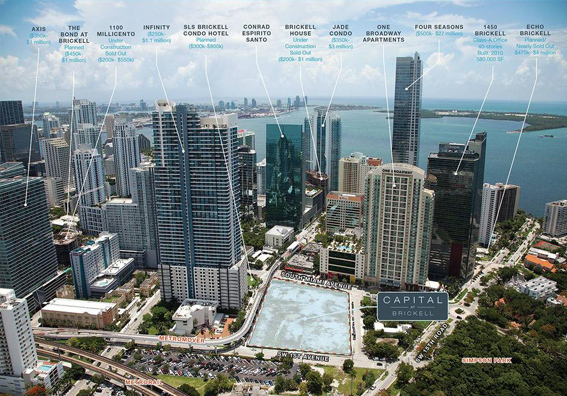 “Capital At Brickell Site Sold To Chinese For $75M; Will Be Redesigned.” The Next Miami. 29 Dec. 2014. Web. 6 Jan. 2015.